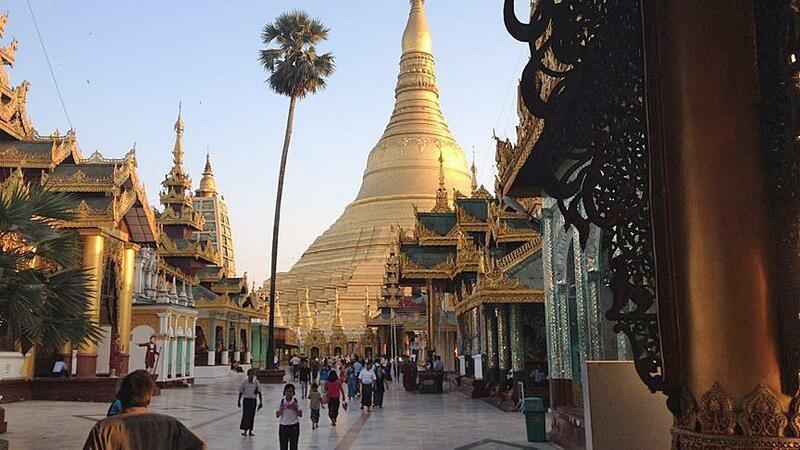 YANGON, Myanmar -- Activists are urging action against a group of Buddhist monks patrolling Myanmar's most famous religious site after Muslim vendors were attacked, and one was badly beaten. On Friday, Thet Swe Win – joint general secretary of National Youth Congress -- presented a printout of an online petition to authorities after the Buddhist nationalists forced Muslim vendors out of Shwedagon Pagoda in commercial capital Yangon last week. “I handed the documents and petition to chief minister and border affairs minister of Yangon region today,” Thet Swe Win told Anadolu Agency by phone. "This is for justice and rule of law," he said, adding that the monks’ actions had violated the country’s constitution, which states that every citizen has the right to conduct business freely in any part of the country. The online petition (at change.org) was set up and addressed to Yangon Chief Minister Phyo Min Thein after the the monks mistreated Muslim vendors in four separate incidents on April 17 – the first day of Myanmar’s traditional New Year. It was signed by at least 3,000 people within two days of its launch Wednesday. The April 17 incident saw multiple saffron-robed monks attack the vendors, and seize their money and belongings in four separate incidents at the pagoda, a large iconic gold-roofed building visited by hundreds of thousands of tourists each year. They claimed that Muslims are not allowed to do business at any Buddhist temples. Swe Win said he had met the vendors, and discovered that one of them -- 25-year old Abdul Qadir (Ye Ko Ko) was beaten, kicked and punched after being escorted from the site to the nearest monastery by six Buddhist monks. “They hit my face, started kneeing me and took me into the monastery for a beating,” Ye Ko Ko was quoted by M-Media (Myanmar Muslim Media) as saying. Thu Seikkta -- a leader of the nationalist Patriotic Monks Union, who were involved in Friday's incident -- said that they were just trying to protect the pagoda. “They [the Muslim vendors] are gradually occupying the pagoda,” he told Anadolu Agency by phone. “No Muslims should be allowed to do any business near the pagoda as Muslims don’t allow other people doing business near their mosque,” he claimed.